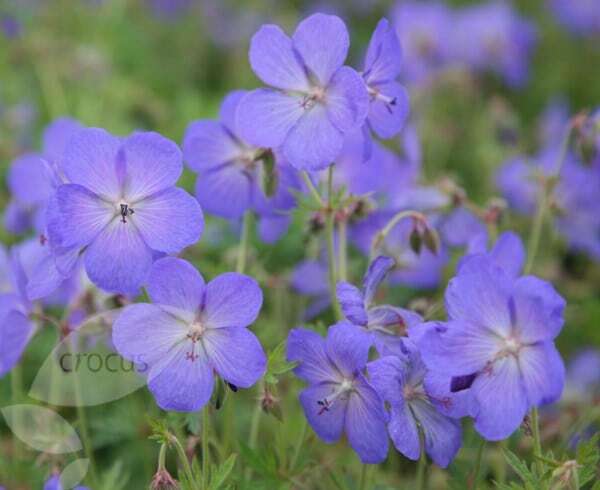 Deep lavender-blue, saucer-shaped flowers appear in early summer among deeply divided, mid-green leaves. The loose clusters of lavender-blue flowers, become paler at the centre, look lovely weaving in and out of the front of a mixed border or at the base of flowering shrubs. 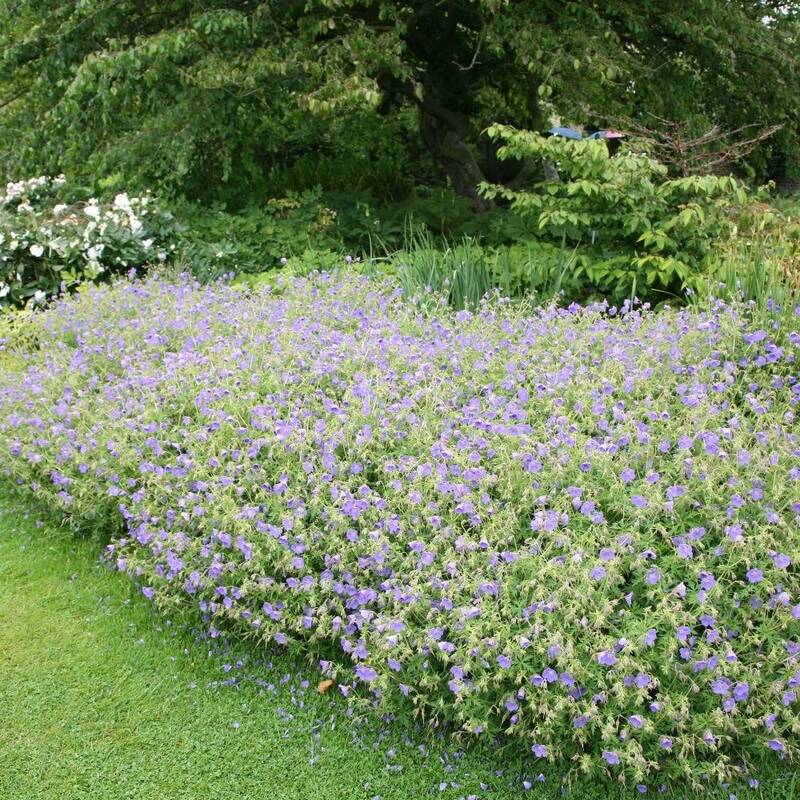 This geranium rapidly forms a dense carpet of foliage, valuable for suppressing weeds, and if cut back after flowering, will usually produce a second flush of flowers later in the summer. 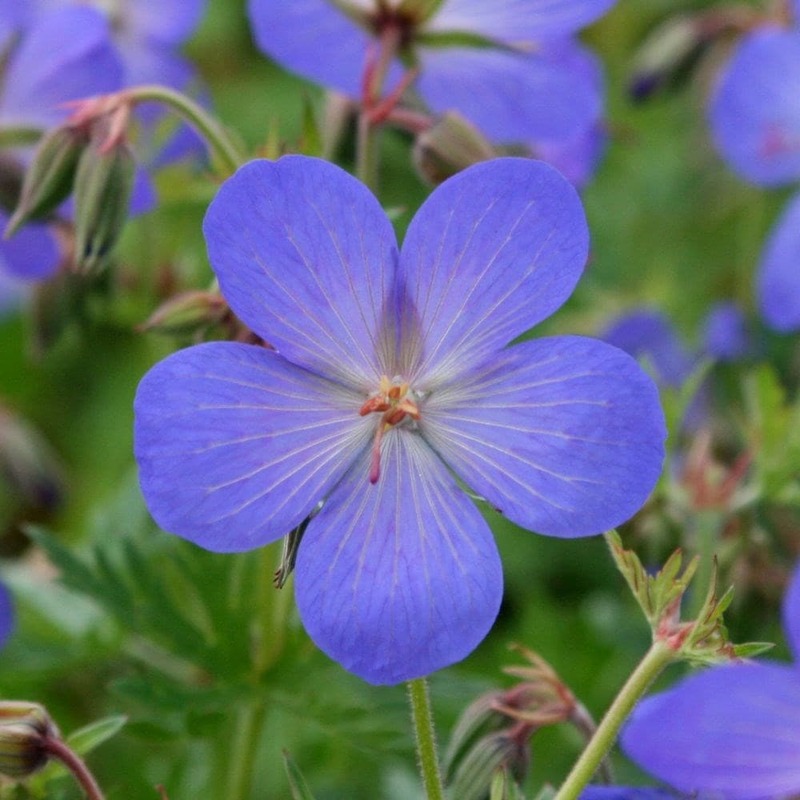 These pretty geraniums are a wonderful blue colour and have a truly natural look fitting in with today's trends. Once they start to flower the flower heads continue through summer keeping your display alive. A little beauty well worth the money that will lift your spirits every time you look at it. Planted in a pot - useful for brightening up a corner. Great border filler, personal,choice, but good with Wargrave pink hardy geranium. Used to provide cover and colour at the edge of a bed with a large Pieris as backdrop. Works very well. Why is my Johnsons Blue Geranium not flowering? There are lots of healthy leaves but few flowers. Might they need separating as they have been in for 15-20 years!! Hello there There can be various reasons why a plant might not flower, such as too much shade or not enough water or nutrients but also if plants et too congested that can affect their growth. Ideally you need to lift and divide groups in the spring. Hope this helps.